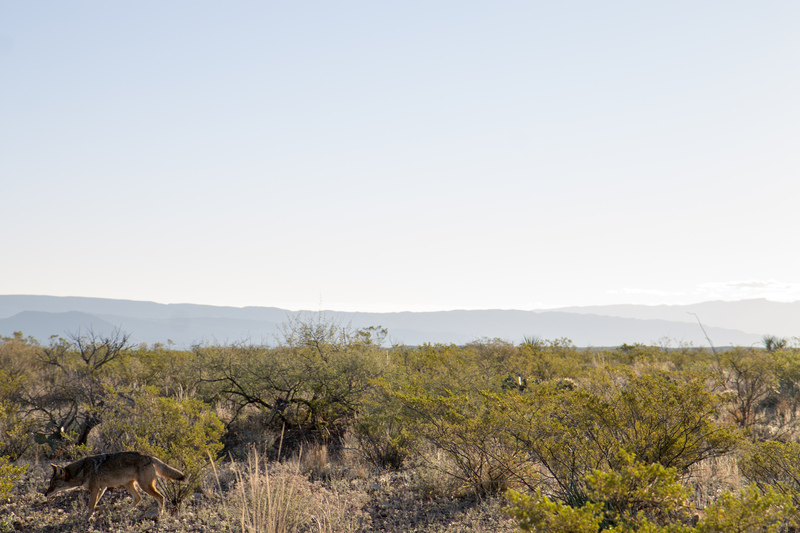 Another coyote gave us a glance and then pranced on as our car clunked along the rolling dirt road. The early January sun glared at us over the scrub. Dust billowed behind us. 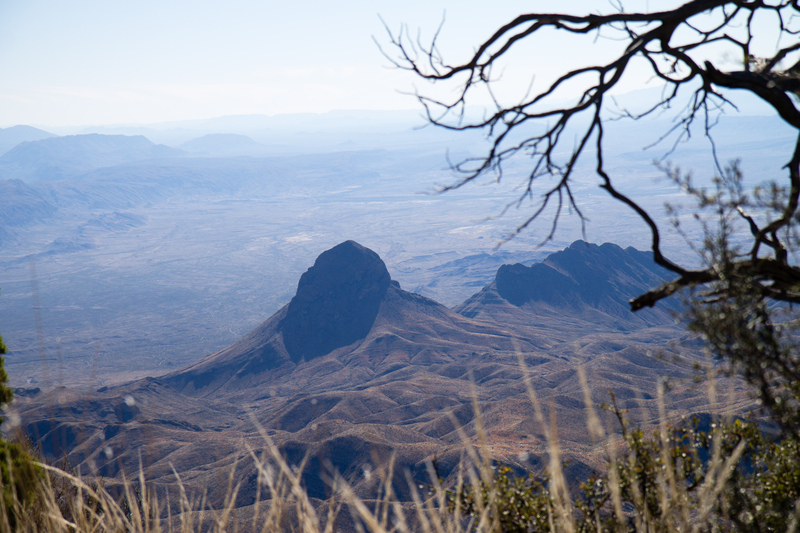 I settled back in my seat for the drive, which brought us winding through the Chisos Mountains. Pine trees began to line the road as we ascended, and browns turned to greens. 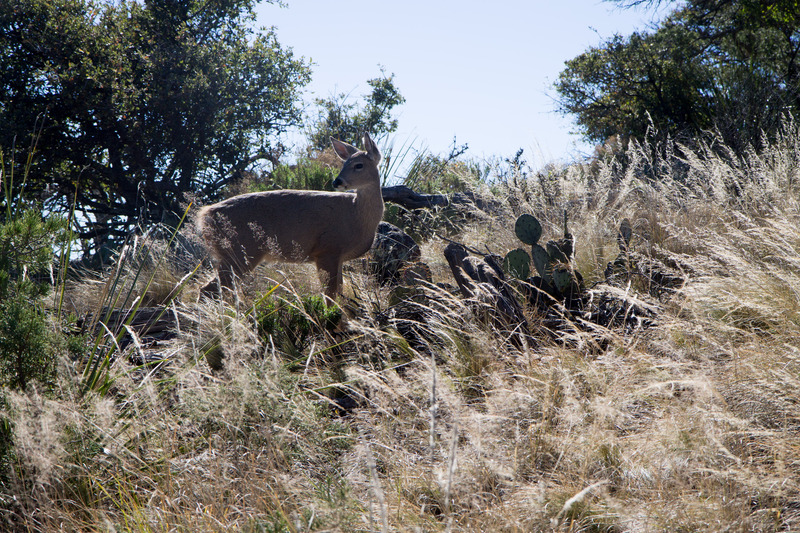 There are a lot of animals in the desert; it’s not nearly so barren as many people imagine. 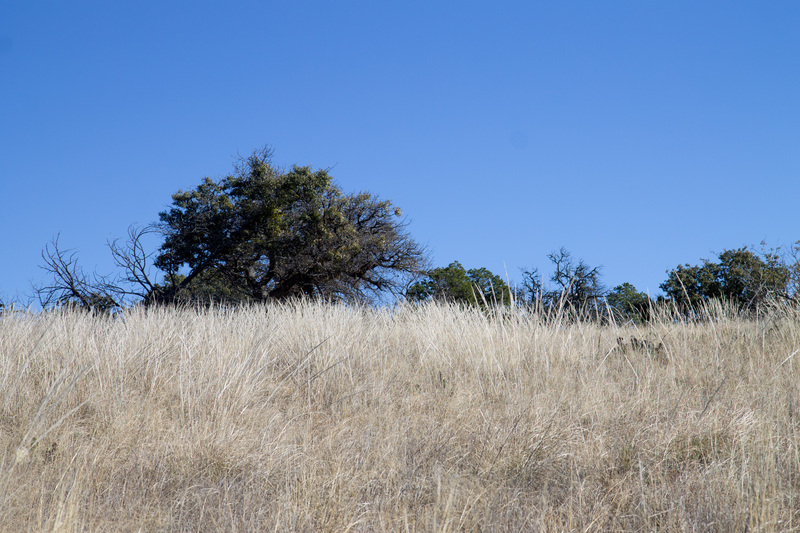 We began hiking and birds rustled in the trees alongside the trail. As we made our way into the meadows, deer abounded. If I had been inattentive, I would have been slightly concerned about colliding with them. And the plants, more specifically the cacti, presented their varied selves without modesty. I bent down and peered at many with glee. 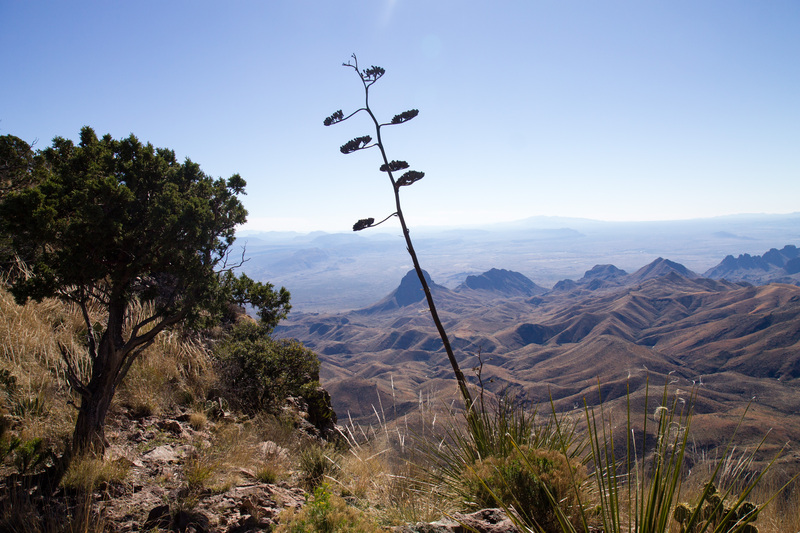 We were hiking Big Bend’s South Rim, a 12.6 mile hike up into the Chisos Mountains, that leads to a view extending over the rolling desert for miles. 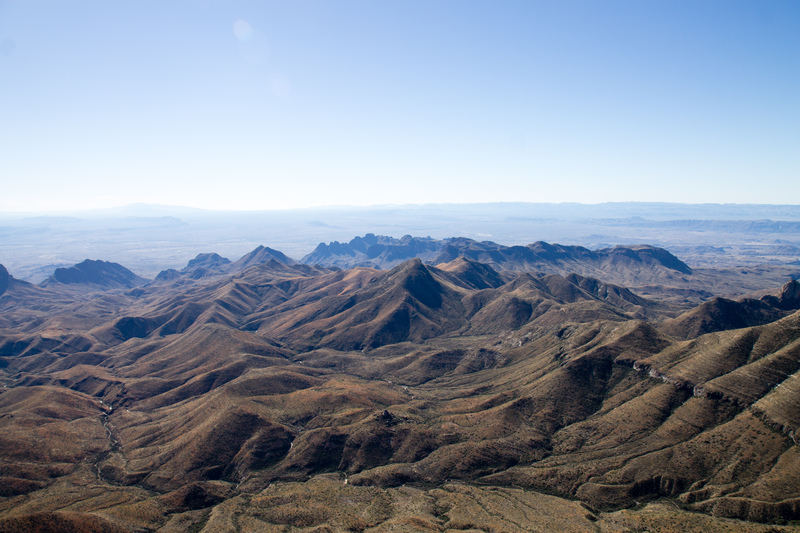 The border with Mexico fades away in the wilderness: just the mountains and the sky exist and stretch on. Trying to place our order on this landscape is silly; it holds its own. We sat on the edge and ate our snacks as the wind whipped our hair around. It was chilly, so we got up and started walking in the sun again. More meadows. The grass stood tall and silver, bending in waves. Deer plodded their way through it. There wasn’t a cloud in the blue sky above. As we descended and more robust trees reappeared, we began keeping an eye out for bears. We came across fresh, steaming at that, dung, and though we didn’t see the bear, it probably saw us. 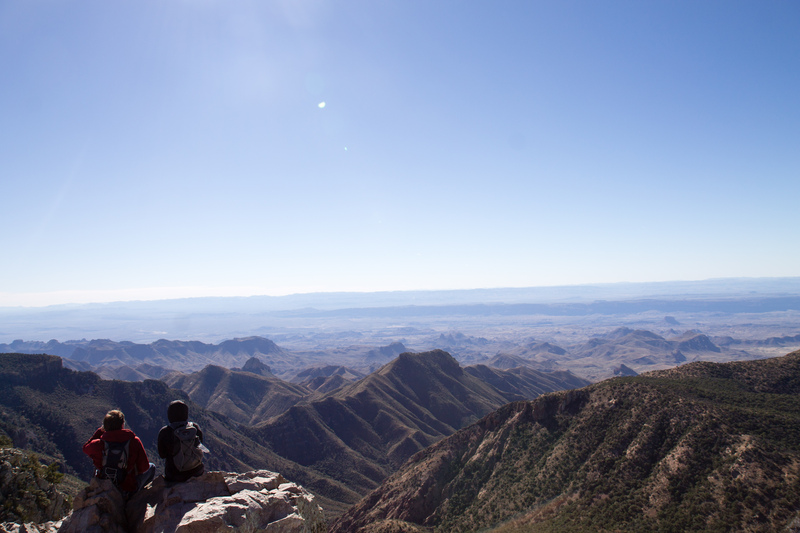 I took a detour to climb Emory Peak, because when a notion gets in my head, I want to do it. I speed-walked up the path, past other hikers, and then with a bit more fear in my limbs, pulled my way up and over the rocks marking the scramble to the top. Amid other people and the radio equipment positioned up top, I took a few moments to stare around. And then, I hurried my way back down, to Ben, to the car in the parking lot, to our campsite, to San Marcos, to the airport, to home. 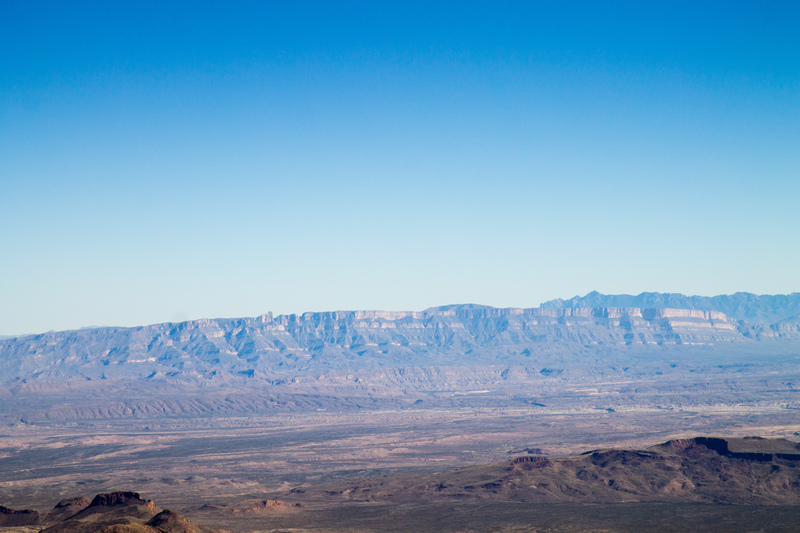 The desert stretches out behind me, indifferent. I enjoyed this, Leah. It reminds me of my own travels around the Southwest many years ago. Have you read Cormac McCarthy’s border trilogy? Powerful stories – he knows this country well. I haven’t read that trilogy. To be honest, I don’t really want to read more by him unless it is VERY different from Blood Meridian. I had read The Road, which was good, but Blood Meridian really disgusted me and didn’t make me feel keen on reading more by him. I so enjoy your rich, gentle hiking tales. They give me a stroll when I’m longing to do one but unable. 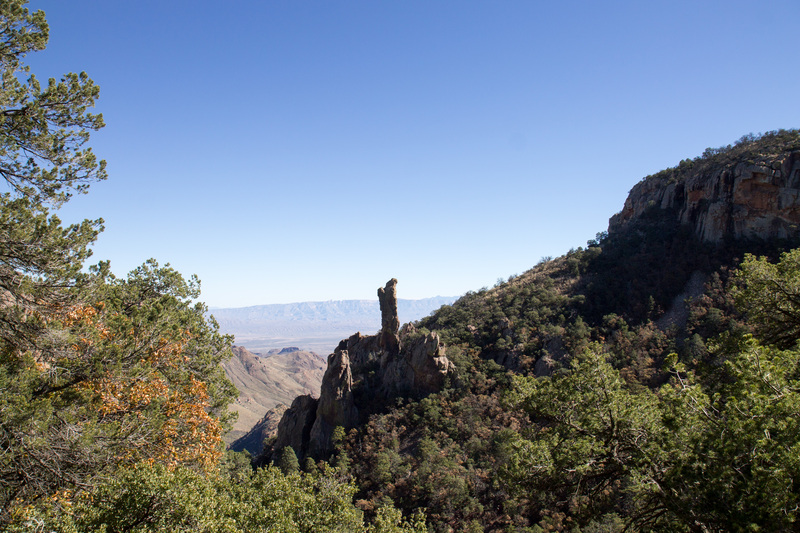 I didn’t know that there are bears in Big Bend. In fact, I know so little about that region. I love the photos, especially the one of the mountains undulating across the landscape. Thanks so much, Julie! I was surprised about the bears too. 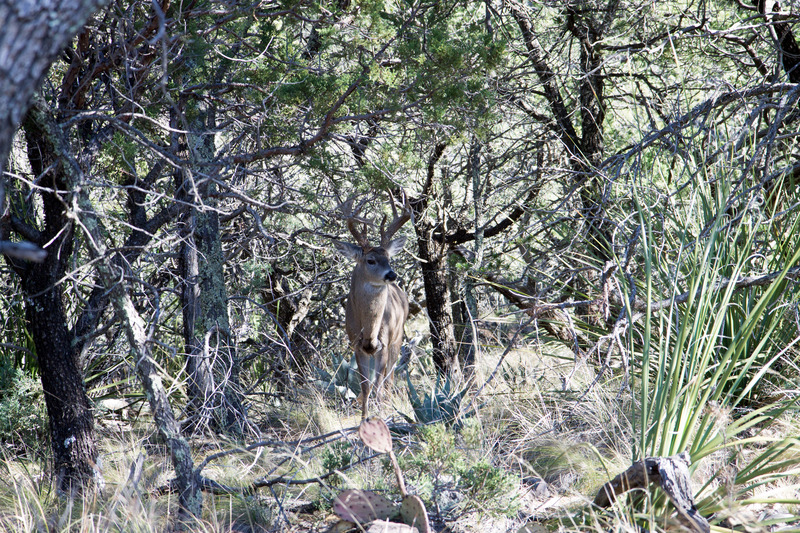 Apparently they hang out in the Chisos mountains where there are pine nut treats for them. I learned a lot when I was there, and the landscape was really interesting and beautiful in a rather unique way – at least compared to other places I’ve seen.